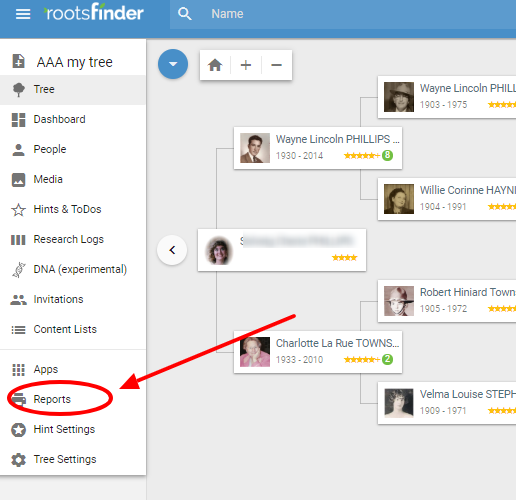 RootsFinder can create an editable Word document containing everything, including pictures, from the person pages of your ancestors. You can then save and print your book. It's easy. Here are the step by step instructions. 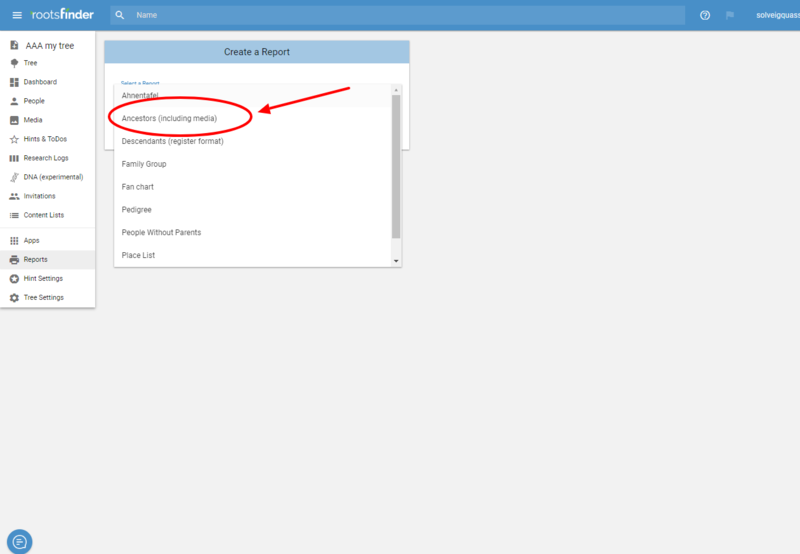 First, click on Reports in the left side menu. Next, click on the down arrow. 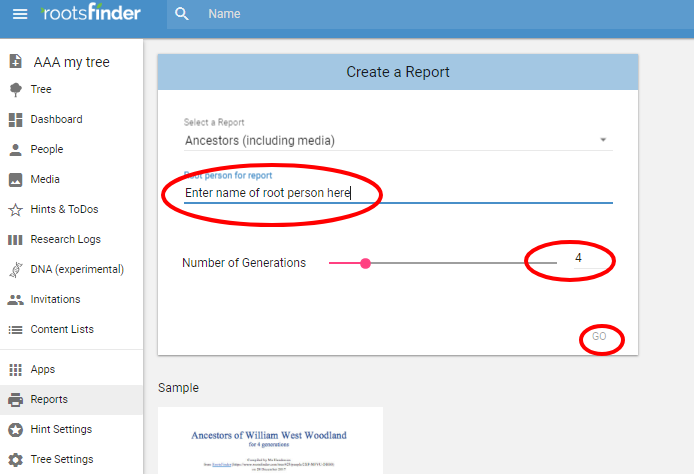 Then, enter the name for the root person and choose the number of generations. Click on the "GO" button. Your Word document will be ready in a short while. It will contain everything from your person pages in an editable format. You will probably want to add and delete information before printing. Print on your home printer, or take it to a professional and have it bound. It's your free book.